Rav Amsalem, an Israeli expert on halachos of Giyur, is coming out with a new sefer, Zera Yisrael, in which he argues that those converts who have a biological Jewish connection, unlike those from a compeltely non-Jewish background, do not require a full acceptance of all the mitzvos and an acceptance of a "traditional" lifestyle is enough, because the identification with the Jewish people- serving in the IDF and keeping mitzvos such as Kiddush, Kashrus, Yom Kuppur etc is sufficient. It will be interesting to see his arguments. In the meantime, a controversy is brewing. For myself, does anyone know how to explain a Rashi (s.v.giyra)that says clearly that one can accept a Ger who does not believe in the Divine origin of Oral Law, as long as the rabbi who accepts him is certain that the convert will eventually be persuaded to accept it? Did Rashi believe that an agreement to perform mitzvos is enough, and that Ikkarei Hadas play no role in Giyur, as the plain meaning of the Talmud in Yevomos 47a seems to suggest? Rambam Issurei Biyah Ch. 14:2 famously rewords that gemara to make it about more about theology, or at least about Oneness of G-d, as well as mitzva observance. Aleph Shin, a book about the Messiah was produced specifically for the Orthodox market but is the same story as Samson’s Lion (ISBN 0-96770-440-5), which was distributed in the general market and is also available from most On-Line Book Stores (Amazon, Barnes&Noble, Borders, Half.com, etc.) The difference between the books is that Samson’s Lion contains expletives and a few emotional scenes between a man and a woman (in the publisher's words, "very innocuously portrayed"). 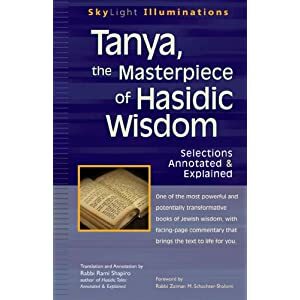 The book was published byTNS, which characterizes itself as, " an avant guarde Jewish publishing company, not afraid to publish high-level literature that conforms 100% to Torah outlook. No scatological language or graphic scenes are found in our titles. However, we don’t subscribe to the censorship of mature concepts and realistic life experiences, which has relegated much of Orthodox literature to children’s books." Now, after three printings, TMS Publishing reprinted Aleph Shin in the same Volume as the new Ten Lost (Tribes). It is a prequel to Aleph Shin, in which Menachem Shabazzi, the Moschiach character of Aleph Shin, visits some lost tribes, learns martial arts, discovers the gold of Ophir, saves Yossele, kills many evil men with his bare hands, and sets up for Aleph Shin. This is how TMS describes the plot of Aleph Shin: "
Over thirty years ago, an Israeli submarine, the Dakar, disappeared without a trace on its maiden voyage. On May 28, 1999 the wreckage of the vessel was found 2800 meters below the surface of the Mediterranean Sea. Over the years, several theories had emerged as to its fate. Samson’s Lion, a fictional story, is predicated on a novel idea. The submarine was deliberately made to vanish and later scuttled. It concealed a vital, top secret mission of the Israeli secret service. It is now the future. Missiles carrying poison gas launched from Iran rain down upon the Israeli populace in the wee hours of the morning. Israel doesn’t react. But a few hours after the onset of the attack, strange and inexplicable phenomena begin to wreak deadly havoc throughout the Middle East. Thousands of terrorist fighters on the Afghanistan/Pakistan border are plagued by an unknown deadly insect. People in the streets and squares of numerous cities throughout the Arab world begin dropping like flies, moribund to a torrent of invisible neutrons. The Aswan Dam mysteriously suffers a devastating earthquake, flooding out hundreds of thousands of dweller along the banks of the Nile River. The world can only speculate that Israel was behind this fierce and grotesquely exaggerated retaliation. Less than one hundred men on the face of the earth knew exactly how these simultaneous responses were planned, implemented and executed. When you read Aleph Shin, you will learn about the cunning, the stealth, the boldness, and the ingenuity of the men who volunteered for this life long Mossad project, insuring the survival of the Jewish State under a Doomsday scenario. How Alon Barnash, alias Abdallah Ibn Gash in the guise of a devout Muslim, raises a son who, independently, finds the path to Judaism. The boy, a computer whiz, then joins his father in planting the infrastructure to sunder the Aswan High Dam. How Eli Kedem, alias Farshid Kermani, planted in Isfahan Iran, is discovered by an American business magnate, and is forced to assist in the rescue of his employees caught in the wake of a fanatical revolution. How the heretofore secular but brilliant Benny Harkesef serendipitously found deep spiritual meaning in joining the project. Then, as Robert Benson, under deep cover in the United States, confounds an attack on Israel and helps to foil a conspiracy against the President of the United States. Aleph Shin, blends just the right amount of action with sentimentality, politics, religious zeal and suspense, to make for a can’t-put-it-down read and an illuminating experience. The finale’ of the book peaks in a tumultuous crescendo of abysmal mayhem. The President of the United States, under tremendous pressure to compel Israel to stop the catastrophe in the Arab world, is usurped by a conspiracy of the generals of the Joint Chiefs of Staff, dissatisfied with the President’s reticence. Alas they too, cannot cajole, cannot threaten and cannot control the massive yet untraceable Israeli retaliatory measures. In a last ditch effort, they launch a cruise-missile attack against Israel, which, astoundingly backfires. As the international community coalesces to mount an all out effort to destroy Israel, salvation comes as the world is on the brink of Armageddon. An unexpected, undreamed of, series of events takes place. One man, out of nowhere begins a new wave of humanity that overturns the world order from that of cupidity, hedonism and godlessness, to one of justice, peace and prosperity. It is a book of adventure and horror, but also one of hope. Out of a frenzied abyss of violence, evil, intrigue and chaos can emerge light and beneficence; it can be the culmination of human existence. Samson’s feat is repeated. From Samson’s Lion (Aleph Shin in Hebrew stands for Ari Shimshon – Samson’s Lion) flows forth sweet honey.". What this description omits that all of these events were set in motion by Menachem Shabbazzi in the persona that he assumes of Colonel Rafi Schwarts of the Mossad. After arranging all this, the future Messiah retires to Yemen for a number of years to work on his elevating his soul until his triumphal overland trip in a white limousine from Yemen to Jerusalem. So, what do you think? When I first read the book, I thought that it was fantastic and over-reaching. On the other hand, it served a purpose for it demonstrated how the events leading up to the Messianic Redemption were possible. At that time, the world appeared geopolitically stable and while I certainly believed in the coming of the Moschiach, because the Torah so commanded, the possibility of his coming in those circumstances appeared remote. The book did a service by demonstrating that it was possible to subvert the existing order and within a short period of time. In that, it performed a service for Judaism and personally for me. It was also fast paced, well-written and read like a thriller. It was very popular. It went through three printings, and in between the printings, I remember seeing it offered on E-Bay for more than $200.00. What troubled me about the book, besides it's assumption that miraculous events can be pre-arranged by natural means and performed by the means of nuclear materials, tse-tse flies and bursting the Aswan Dam, or by planting explosives under the mountians surrounding Jerusalem, so that the invading armies are anihilated and the mountain, as the prophets predicted, splits into two, was violence. Never mind that hundreds of thousands of Arabs and Iranians die in retaliation for the death of 28 Jews; more importantly, the last pages contain a hand to hand combat sequence between Menachem, the Messiah and General Umenkoff, the Amalekite and his consorts, in which eyes are gouged out, spleens ruptured, windpipes shattered and blood spurts and sprinkles all over the place. It offended my Jewish sensibilities and disgusted my finely attuned neshama. But if this troubled you too, please do not read Ten Lost. This book is a veritable demolition derby. In it, the future Messiah fights his way through page after page, crushing opponents rib cages, bashing in their skulls and collapsing their larynxes. Blood flows freely. I don't generally advocate censorship but this is way over the top. Whereas Aleph Shin had redeeming features - fast paced action, a minimally plausible plot, and a positive effect on emunah, the Ten Lost is heavy, it meanders slowly and leaves one knee deep in grotesquely mutilitated bodies of the enemies. It made me ill and not once. Is this Torah literature? No way. Is it entertaining? Not really? Is it good for one's soull. Not at all. Books like this give Jews a bad name. 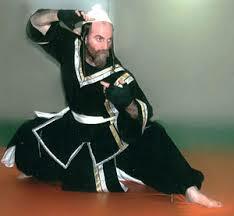 Aleph Shin is a work with pluses and minuses and it can be defended on its merits. Ten Lost, in my opinion. should be banished beyond the Sambatyon. P.S. I did like the other book that TNS published, Every Man a Slave, for its faithfullness to historical detail, depth of characterization and courage in tackling a difficult topic. But the review for that book must wait until a later time.